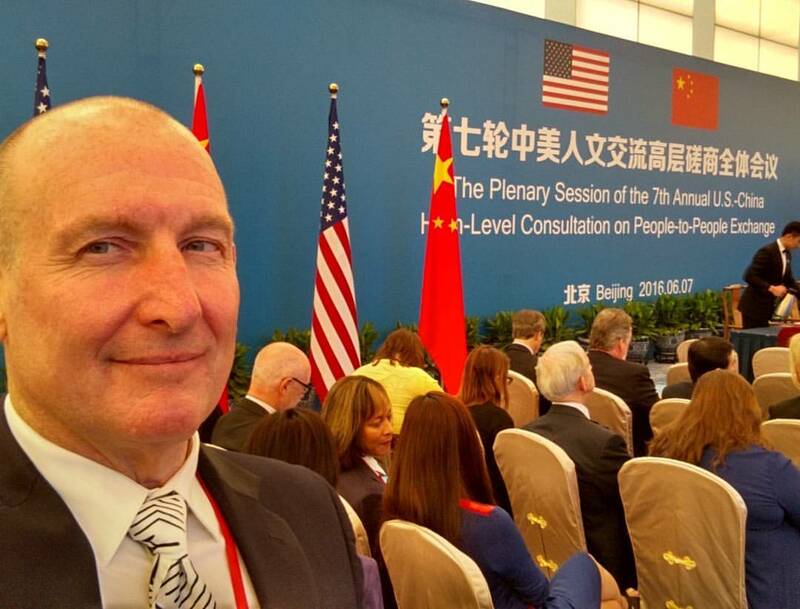 Surfing Heritage and Culture Center’s board of directors member, Glenn Brumage, was recently invited to Beijing by the U.S. Department of State to participate in the 7th annual U.S. / China Consultation on People-to-People Exchange (CPE), which promotes high-level discussions between the two nations on topics including sports, culture, education, science and technology, health and women’s issues. 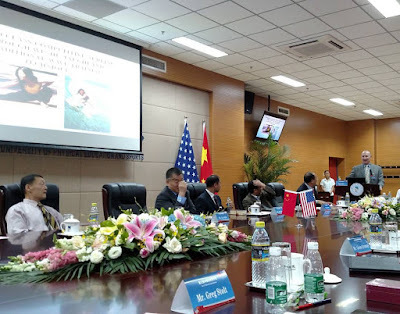 This year, the 2nd annual U.S. – China Sports Seminar was held in conjunction with the CPE where Brumage spoke to members of the China General Administration of Sports and Beijing Sports University on the subject of promoting the sport of surfing and developing an Olympic level surf training center in advance of the 2020 Tokyo games. Via telephone interview, Brumage talked about how he was selected to be a part of the U.S-China Sports Seminar and how surfing is beginning to take-off in China. Surfing has been an international sport, passion and lifestyle for more than a half century; why has it taken so long for the sport to gain a foothold in China? You have to remember that until 1989, China was a closed society. They had very little contact with western culture and sports. They did not benefit from the rebirth of surfing in the early 1900’s and its rise in popularity during the heady days of the 1960’s. Until recently, they’d never heard of Duke Kahanamoku, seen the Endless Summer or heard a Beach Boys song. They simply don’t have the cultural bond to the lifestyle that we have in the US, Australia and Europe. Tell us how you were selected by the U.S. Department of State to represent and promote the sport of surfing at this international seminar? The simple answer is that I’ve been promoting surfing in China for eight years. 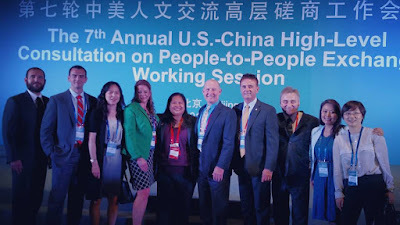 My Chinese counterparts invited me to participate in the CPE four years ago. The imminent inclusion of surfing in the 2020 Olympics has finally raised the Chinese government’s interest in the sport. Describe the shifts you’ve witnessed in recent years in terms of China’s government being more receptive and supportive of international action sports events? It’s kind of a love hate relationship. They like the idea that board sports are “individual” and that people tend to participate throughout their lives. They see this as a health benefit in a society where socialized medicine is responsible for you until you die so keeping you healthy is an imperative. But they haven’t really respected what they’ve seen of the boardsports culture in the media. Talk about the significance of these talks — to U.S./ China relations, and the future of surfing in China? Like it or not, the government plays a significant role in Chinese life and it isn’t going to change any time soon. In fact, they like it that way. That said, there are at least one or two government agencies responsible for every aspect of life, including sports. While grassroots surfing, skateboarding and snowboarding have grown in China, it takes interest (and financial support) from the governing bodies before they have any chance of significant growth. An Olympic-recognized sport has a much better chance of that critical support, so these discussions were an opportunity to introduce that concept and prepare for the IOC members vote coming up in August 2016. These meetings present a rare opportunity for me to engage with my Chinese counterparts to discuss sports goals and objectives with the people of China during the course of the next few years. What are your goals and role as Director Business Development Wabsono International? My job at Wabsono is to develop business opportunities that support the sports of surfing and skateboarding. The more business opportunity there is, the more financial support there is for increasing engagement in these emerging sports. You’ve been traveling to China with Peter “PT” Townend for the past several years to help coordinate the Red Bull Qiantang Surfing Shootout. Tell us what makes this event so unique and how it has helped elevate awareness of competitive surfing in China. Now that the International Olympic Committee has announced that surfing will be part of the 2020 games in Tokyo Japan, do you believe China will field a team of surfers to take part in competition? While I believe that surfing and skateboarding are going to make the cut, let's not jinx it. There is still one vote to go. But, assuming it is announced, yes, the PRCOC and Chinese General Administration of Sports will most likely want to participate. 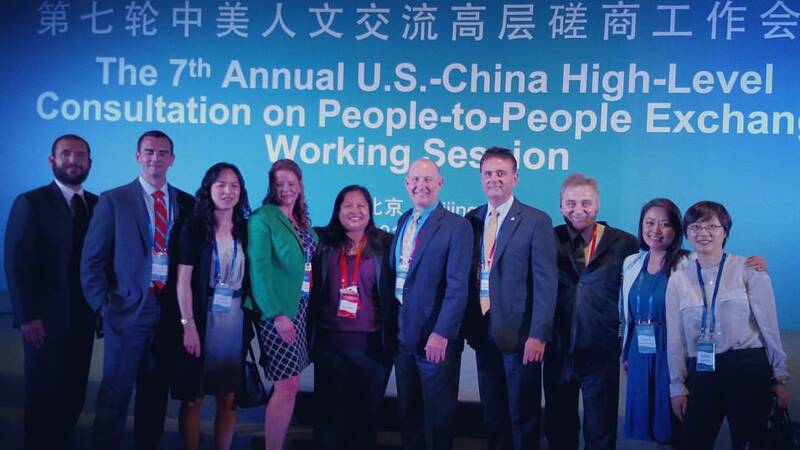 How does your participation in the U.S. – China Sports Seminar help fulfill SHACC’s mission — to preserve, present and promote the sport of surfing for the appreciation and education of current and future generations? I hope that by presenting the true history of surfing and surfing culture, rather than the media driven view they now see, they will embrace the culture as a healthy and desirable lifestyle. We want them to understand that surfing promotes lifetime health, environmental awareness, creativity and a positive state of mind. Last summer in Washington DC, you helped spearhead SHACC’s historic donation and collaboration with the Smithsonian Institution’s National Museum of American History (NMAH). In your view, does the emergence of surfing’s popularity in a communist nation compare in magnitude to surfing being recognized by the Smithsonian as a catalyst for social change and innovation in the U.S.? Not to lessen our effort in China but for me, nothing compares to the NMAH’s recognition of surfing's impact on American culture and the potential future collaborations with our nation's preeminent museums. In addition to working with NMAH and the Smithsonian’s Lemelson Center for the Study of Invention and Innovation, the SHACC contingency worked hand in hand with the National Museum of the American Indian to celebrate and honor Duke Kahanamoku’s 125th birthday during the same weekend. I am proud of what we accomplished and humbled by the emotional reactions shown by everyone who participated. It wasn’t easy, but it was a labor of love for everyone at Surfing Heritage and Culture Center. I only hope that we can continue to build upon these types of historic events and spread stoke and awareness about surfing’s rich history and increasingly global culture.